Are you looking for a reliable metal roofing supplier in the North Little Rock, Arkansas, area? McElroy Metal is a family-owned and operated manufacturer and distributor of cutting-edge metal roofing and related products. Although we’re a nationwide company, we place a strong emphasis on providing superior localized service to our expansive distributor network and our entire customer base. We believe that our ability to provide excellent service has fueled our tremendous growth over more than 50 years in business. Whether your project involves new building construction, major repair work or retrofit, our North Little Rock, Arkansas, servicecenter has the right product for the job. Our extensive metal roofing products inventory includes everything from exposedfastener and canopy panels to complete standing seam and retrofit systems and much more.Our products are among the best in the metal roofing industry — they’re made from high-quality materials to ensure the longevity of your roof and enhance its ability to withstand the rigors of the severe central Arkansas weather. Our product line includes green materials for environmentally conscious builders who are also seeking ways to maximize energy savings. 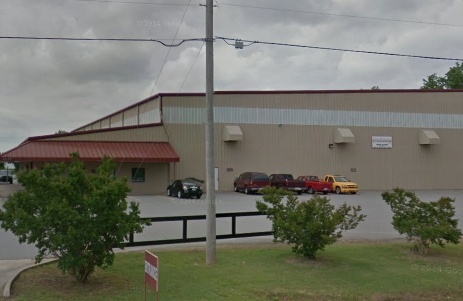 The professional team at our North Little Rock service center is ready to help you select the right metal roofing products for your needs and budget. We’ll take the time to ask questions so we can gain a better understanding of your project and recommend the best solution for the job. We’ll even help you brainstorm for ideas — sometimes, it takes a little creative thinking to find an outside-the-box solution for an unusual metal roofing challenge. Speaking of unusual metal roofing challenges, McElroy Metal can assist you with developing solutions with metal that meet your needs. Our North Little Rock service center representatives will work closely with you and your team to deliver a solution that will exceed your expectations. We offer an assortment of tools and resources to make selecting the right metal roofing products so much easier — and even enjoyable. Use our interactive visualizer tool to view sample projects or upload, view and modify your own design images. You’ll also find downloadable color charts to help you choose the perfect color for your new metal roofing. What’s more, we’ve made available a host of brochures, product specifications and other essential information that will increase your knowledge and help you make an intelligent purchasing decision. At McElroy Metal, we believe that our ability to provide excellent service has fueled our tremendous growth over more than 50 years in business. As a third-generation family owned and operated business, we understand the importance of treating people with dignity and respect. That’s why we’ve worked hard to establish an ethical company culture where the needs of our customers always come first. This attitude extends to our employees, vendors and distributors who share our commitment to providing the best possible support. We invite you to take a closer look at our metal roofing products by visiting us at our 8304 Highway 70E location. Feel free to give us a call whenever you have questions or concerns, and we’ll be happy to help. And if you’re in central Arkansas, our North Little Rock Service Center will provide prompt and efficient delivery of our products to wherever you are in the region.